Gerrit Jan Bartels, Gerard, joined the Catalan club Club Esportiu Europa in summer 2007. The third club of Barcelona, who were playing in the Tercera Division, was directed by Dutch president Guillaume de Bode. When the 2007-08 season ended, he decided to return home. Bartels moved to the amateurs of Elinkwijk and played for Lienden since the 2009-10 season. Lienden play since the 2010-11 season in the Dutch Topklasse (third tier). In March 2012 he left the Dutch club for a new adventure abroad. 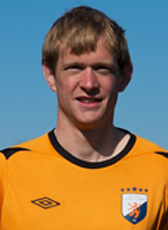 Bartels moved to the USA to play for the Dayton Dutch Lions in the USL Pro League (third tier) in the 2012 season. In September 2012 he returned home to play for the amateurs (Hoofdklasse, fourth tier) of FC Hilversum.